Specifically designed for high risk applications, the Ansell ActivArmr 80-813 Flame-Resistant Kevlar Work Gloves are flame, heat and cut resistant. 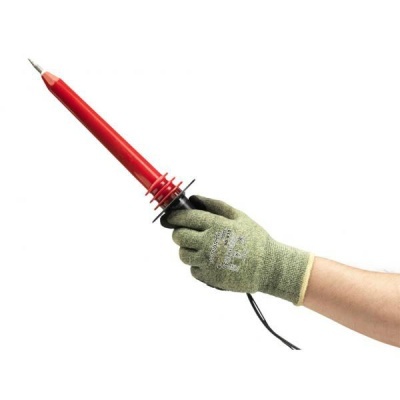 While their versatility makes them stand out from other heat-resistant gloves, the ActivArmr Work Gloves resistance to flame makes them ideal for protecting against arc flash hazards. 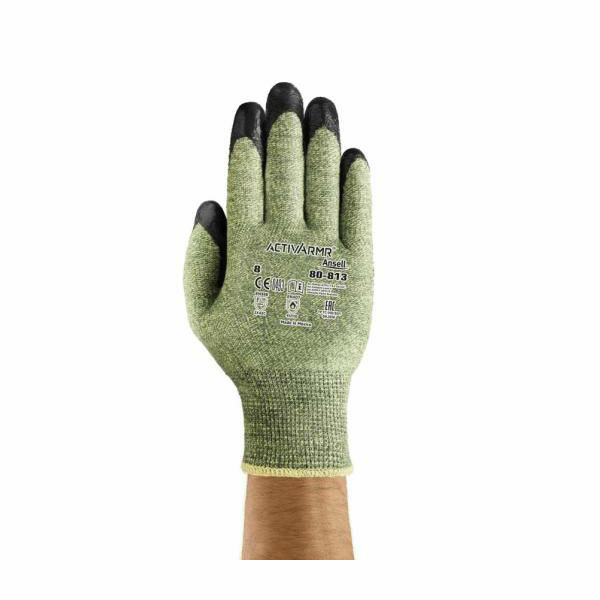 The 80-813 Gloves have been designed to provide workers with protection against the risks of arc flash hazards. They have a hazard/risk category (HRC) 2 according to ASTM F2675-13. The Ansell 80-813 Flame-Resistant Kevlar Gloves are available in six sizes that should suit the hands of most users. Please measure the circumference of your hand around the knuckles (excluding the thumb) with your hand open and your fingers together, and the length of your hand from the tip of your middle finger to your wrist.